I finally got back on the road again and it feels SO GOOD!!!!! 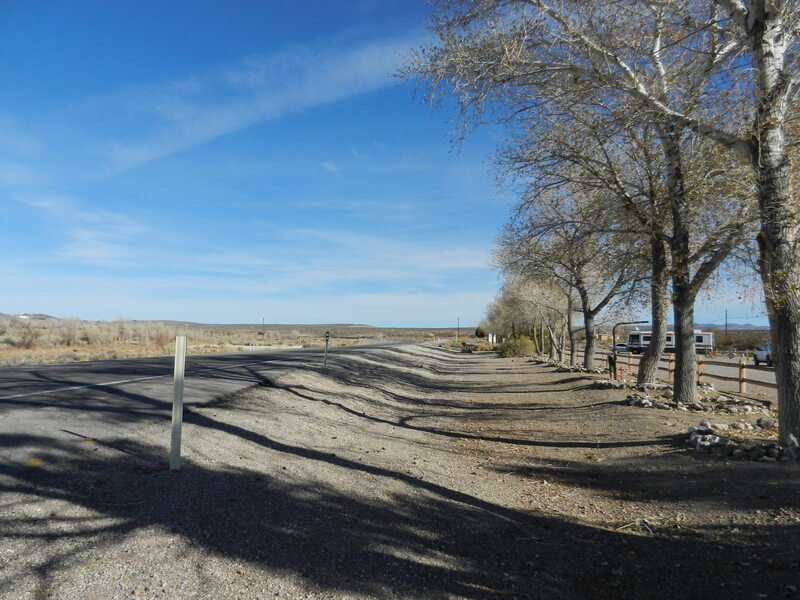 I left Reno and drove to Beatty RV Park just outside of Beatty, NV on Highway 95. These pics shows the road and surrounding desert. I had stayed here last year but did not use the bathroom facilities. If you are here be sure to check the bathrooms out. They will blow your mind. This is what the bathrooms look from the outside. Nothing spectacular. But it will blow your mind when you open the door. It is like bathing in a 5 star Las Vegas penthouse. 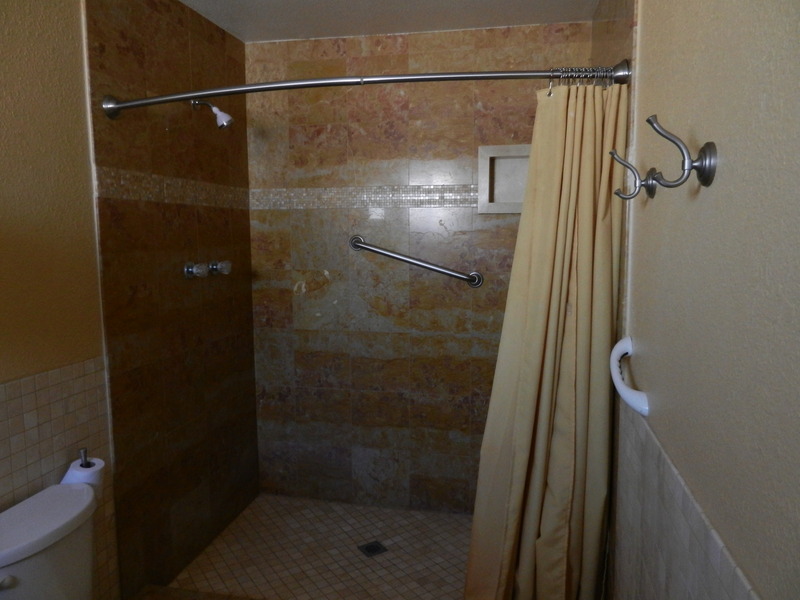 The shower is floor to ceiling marble. Very impressive!! My rig felt right at home and was glad to be back on the road as you can tell from this pic. I only spent one night there. I got up the next morning and fixed myself a great bacon and eggs breakfast and then headed out. It was so great being back on the road. I have been in one spot in Fernley, NV for so long and it is a wonderful feeling to be traveling again. 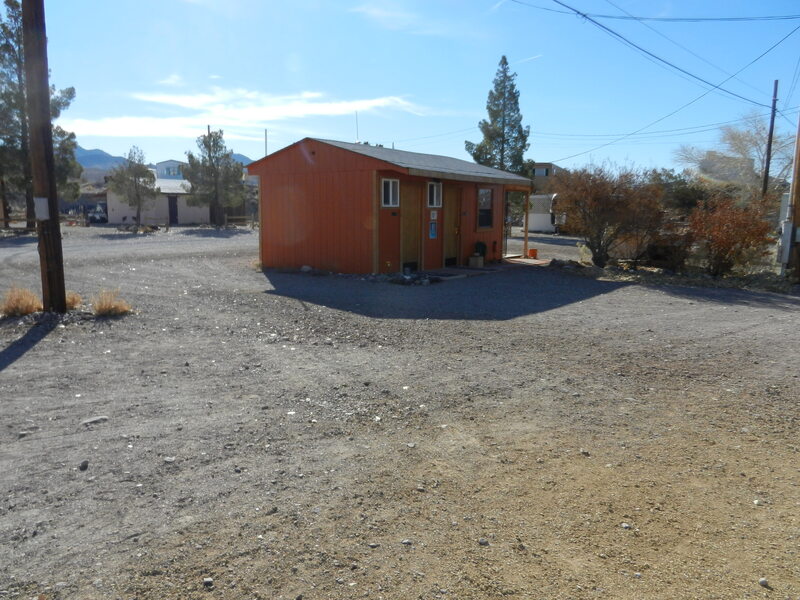 I am now headed to visit a family member in Bullhead City, AZ and then I will head to Quartzsite where I will catch up with many friends who will be staying there. I will also get to enjoy the RV Show in the big tent that they put on every year. 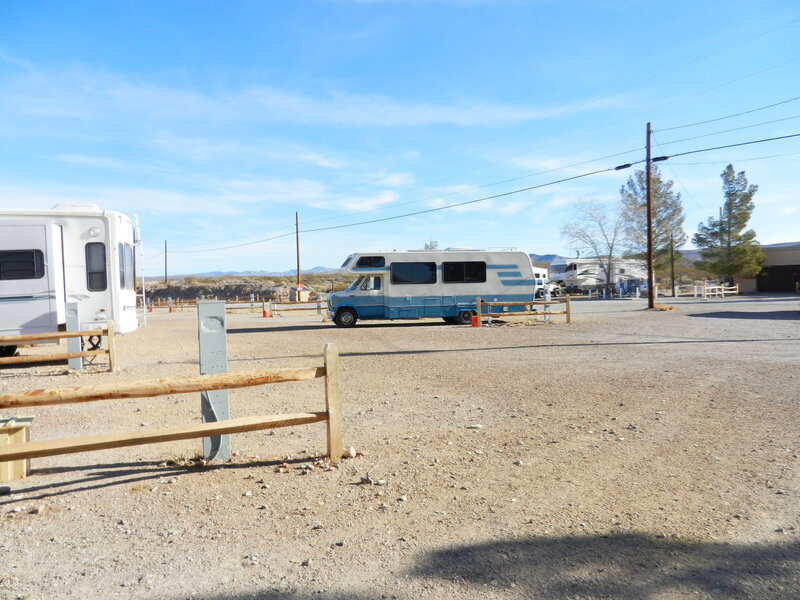 It may be a couple of days until I post again, but I will keep you updated on my adventures in Quartzsite and what is happening at the RV Show. 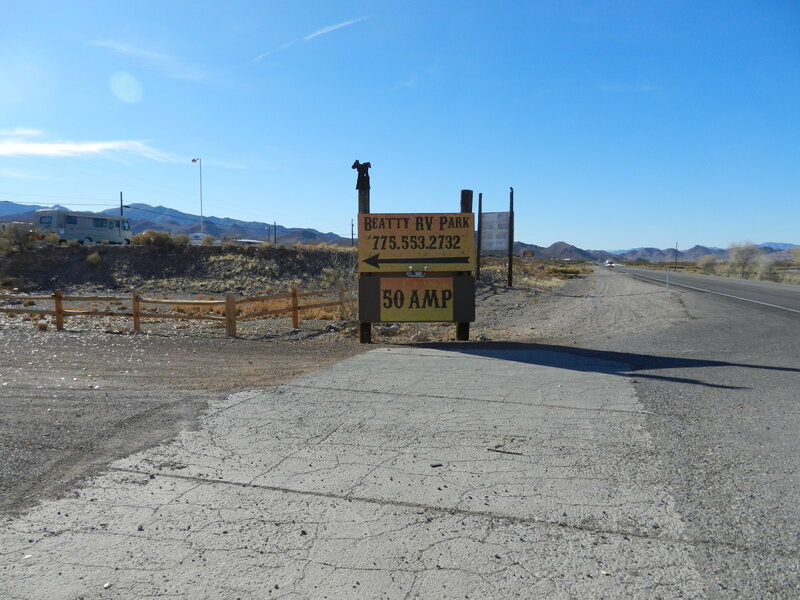 This entry was posted in Beatty RV Park, Nevada by Jim Melvin. Bookmark the permalink. Great to hear you sounding sooo happy! Glad to see you back on the road again. You certainly earned a little R&R after your stint at Amazon. Have fun on the road and in Q. Will be watching for your posts. Glad to see you moving down the road again! You just never know what you’ll find in those little out of the way camp grounds, do you? Amazing! Hope your journey to Q is uneventful, except for the events you want!! Good to see you’re on the road – You sound sooo happy – I know it is wonderful to be ‘on the road again’. Jim, we will be in Bullhead City Jan 5. I will follow your blog and maybe we can say “hi” . Buy ya a cup of Java and visit. Plan to be in Quartzsite Jan 22-26 then back to Laughlin. Freedom to do what and when you want. I understand, Jim. Enjoy those marble showers! Enjoying the scenery you post, as usual.